The Mt. Vernon is perfect for that food buffet or special occasion. Open on all sides allows for easy access and viewing. 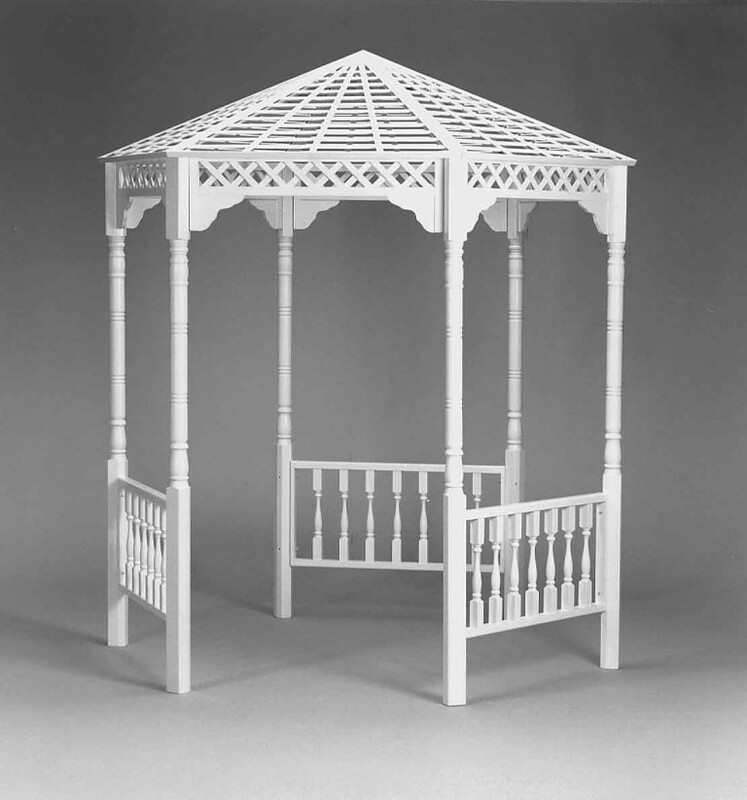 The entire gazebo is easy to assemble without the use of tools. 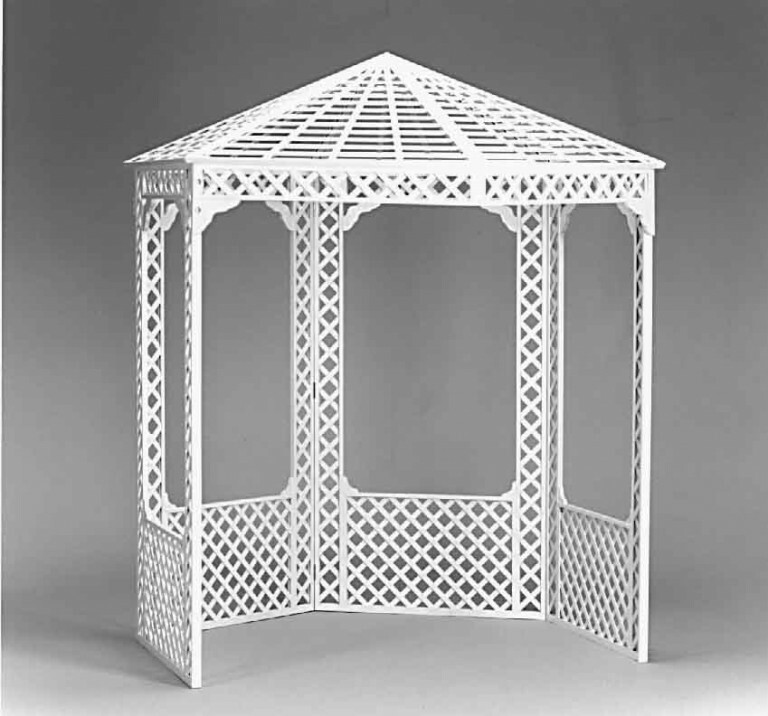 By using the different accessories and combinations, you can transform your gazebo to fit the needs of a variety of customers and special events. The Mt. 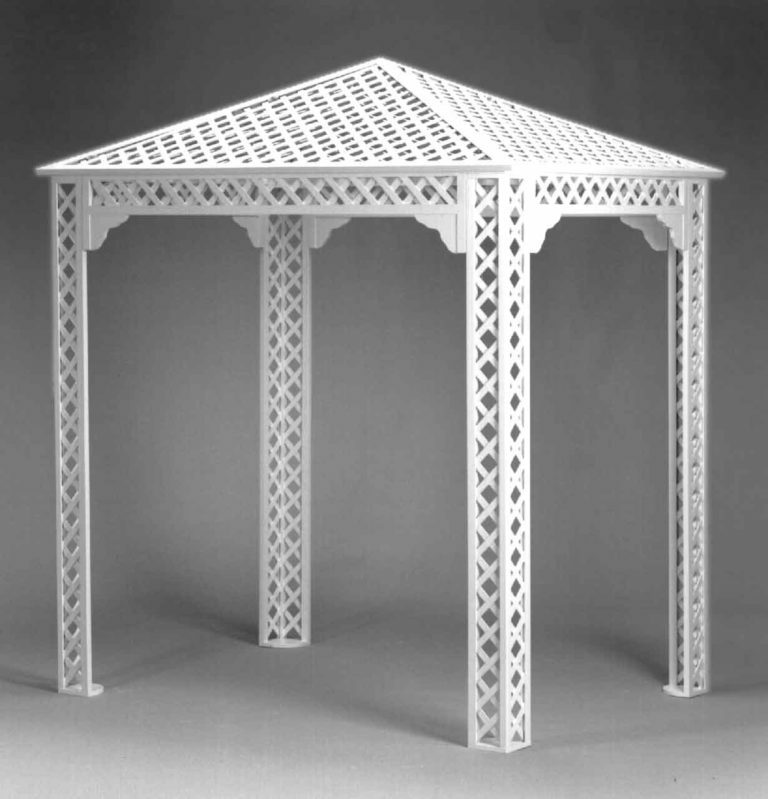 Vernon can be easily assembled with four, five or all six posts in place. 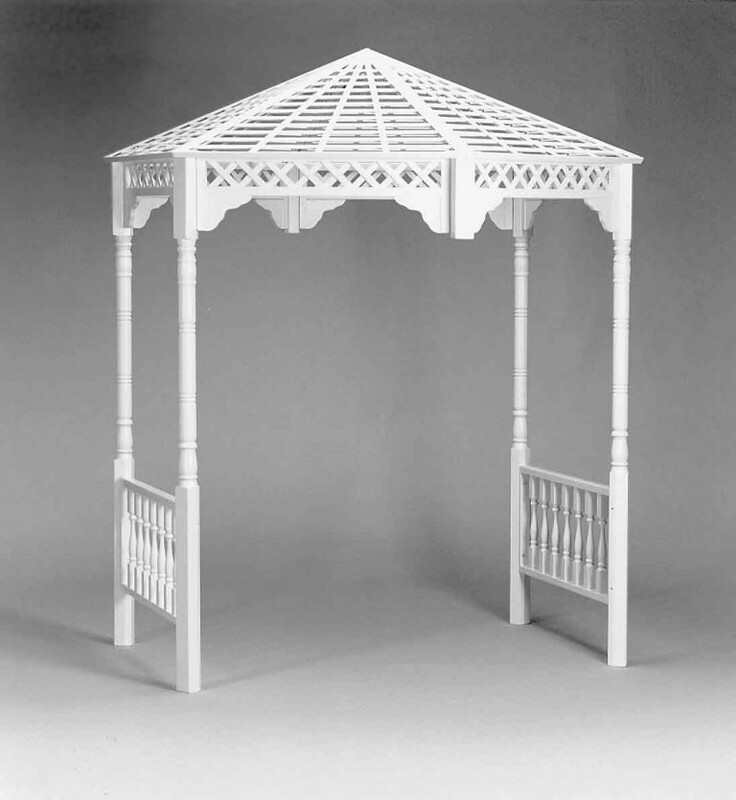 The basic gazebo includes everything shown above and two stub posts which enable you to remove full length posts. Assembling the Mt. 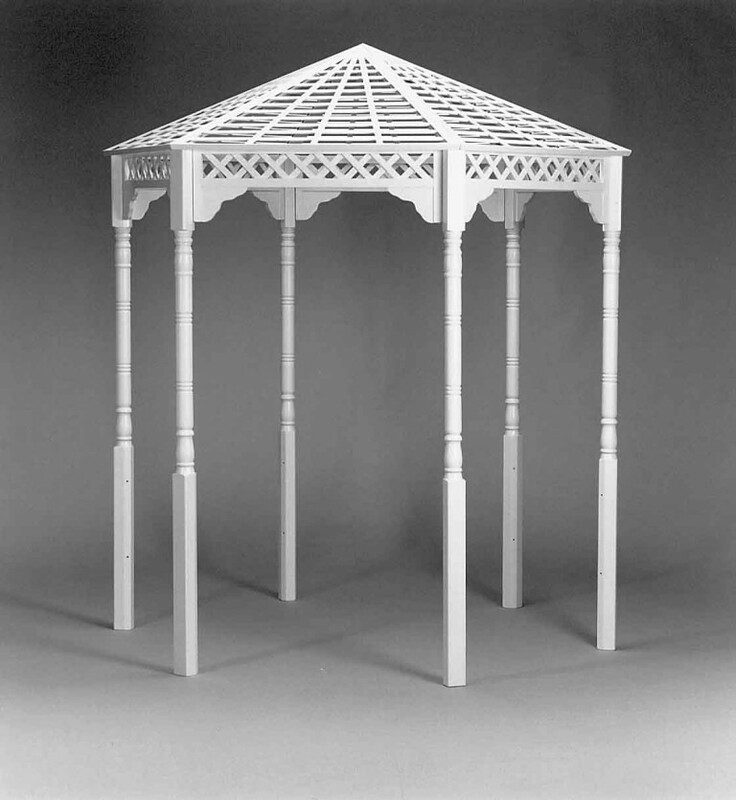 Vernon with five posts, one stub post and four rail sections, the gazebo becomes enclosed on the back side and open in front. Assembling the Mt. 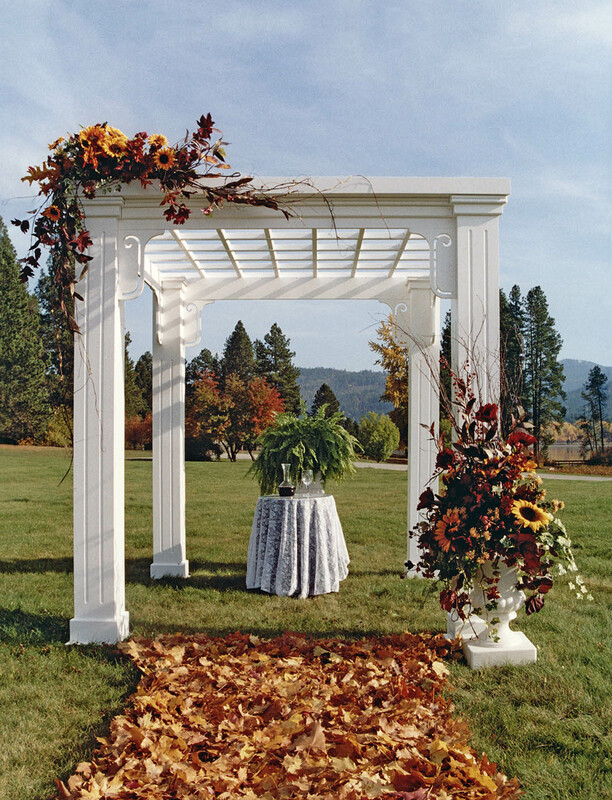 Vernon with four posts, two stub posts and two rails can transform it into a walk-thru gazebo. Assembling the Mt. 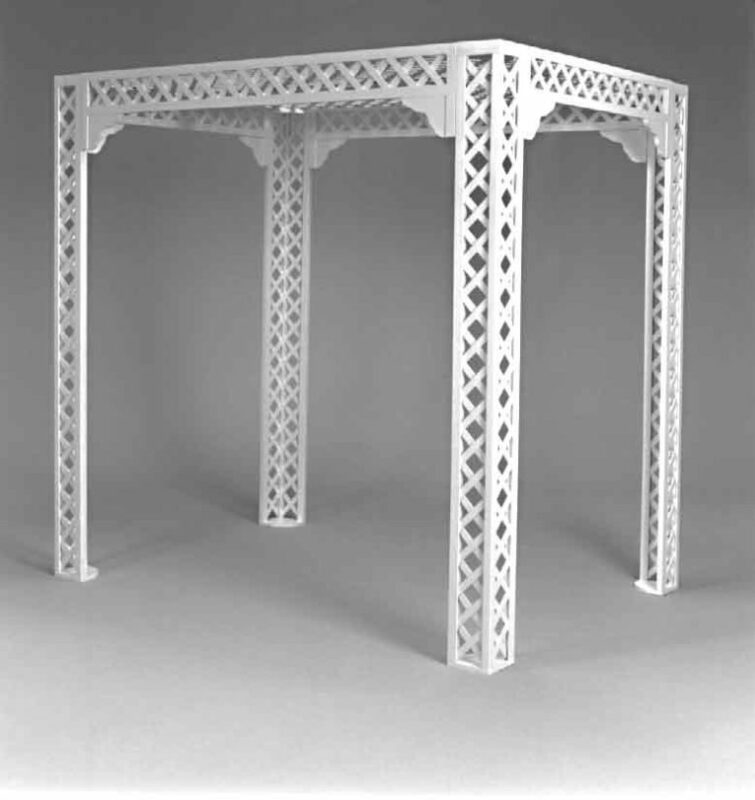 Vernon with six posts and three rails makes a unique setting when access is desired on multiple sides. Assembling the Mt. Vernon with six posts and five (or six) rails allows set up for limited access use. Our most popular item. 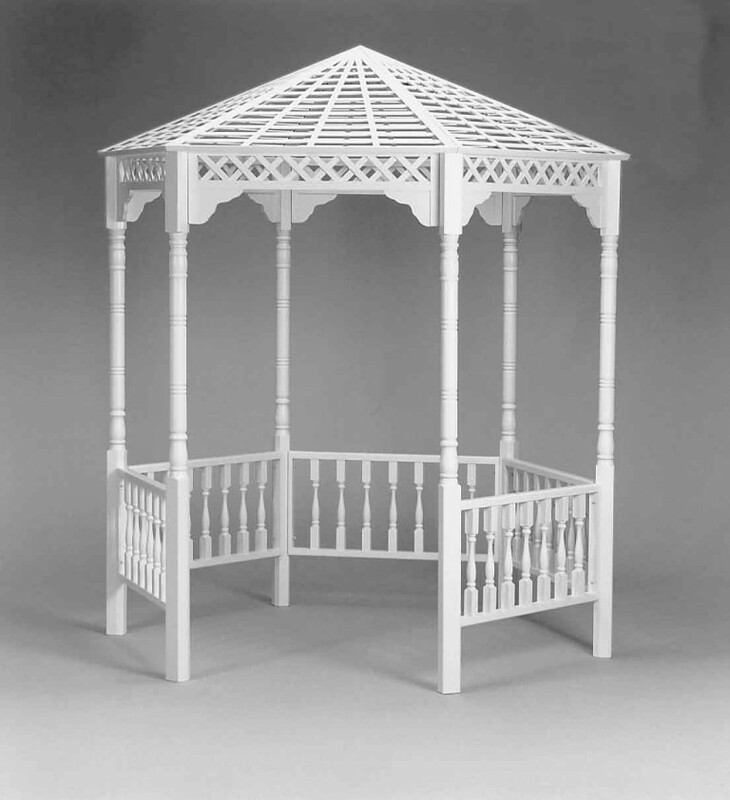 The complete gazebo folds flat for ease of storage and its hexagonal shape makes this a truly beautiful piece. Superb in its design and engineering, this is truly a masterpiece. 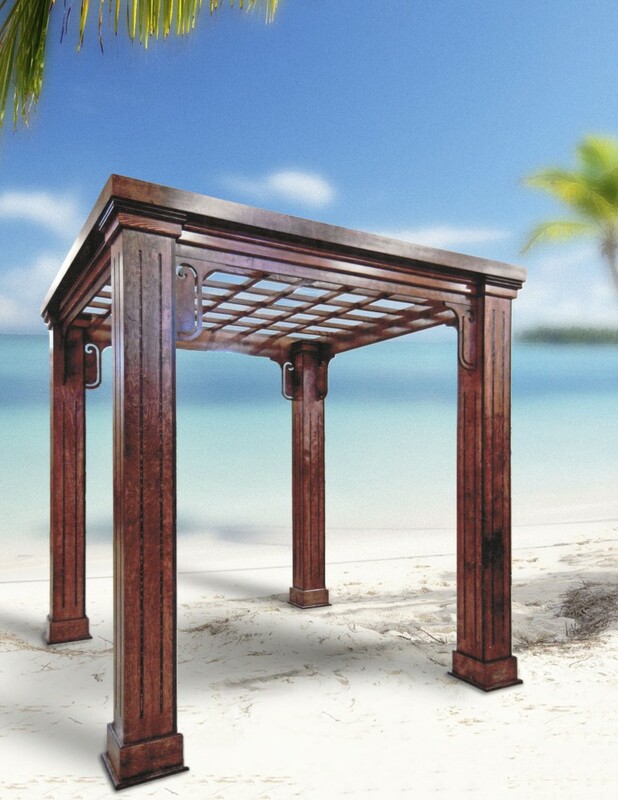 The deluxe canopy has the appearance of a permanent structure, yet the portability that we are famous for. 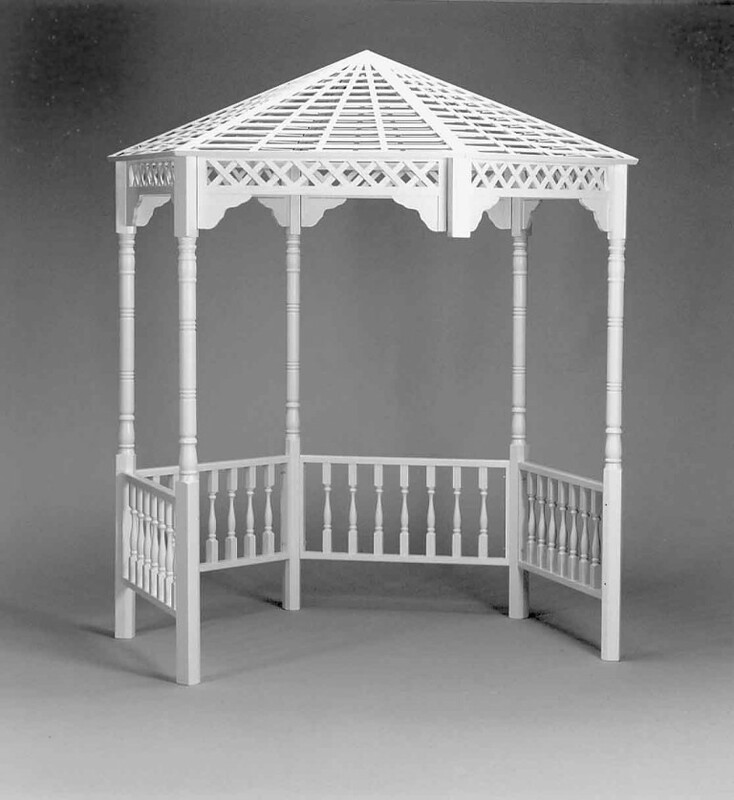 It sets up in just minutes thanks to its reinforced keyways and interlocking roof. No tools or hardware are needed. The perfect prop for those occasions where access is desired on all four sides. Quick assembly is possible thanks to its precision slip-together mechanism. 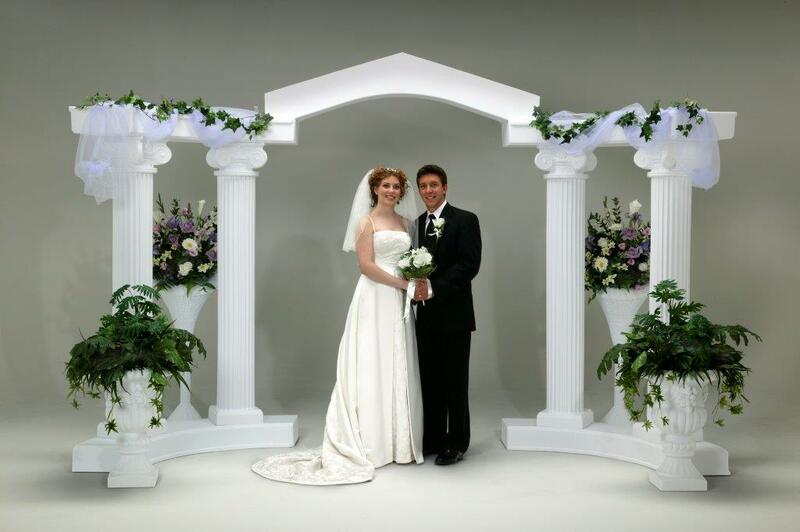 To view our line of columns, urns, and colonnades please go to our catalog request page and click on view catalog.